Short Bod Short Fit Short Cone Short "V"
The LOW BLOCK offers a realistic aiming point and hitting surface for down linemen. 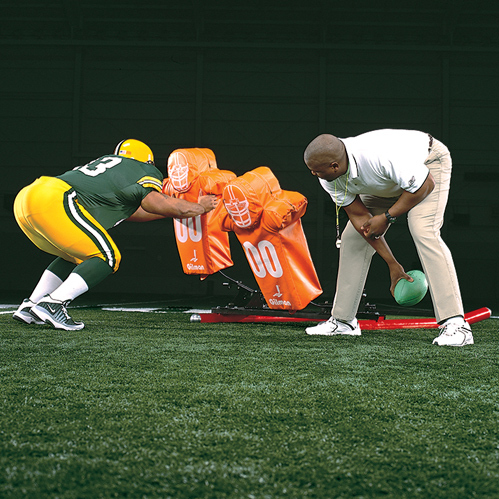 The 25" pad level simulates a man in a goal line stance, or a man attempting a cut block. On defense, use the sled for basic hip explosion from a six-point stance, goal line charge and low slant releases. On offense, use the sled for basic team take-off, scramble and crab blocks, and sprint out protection. "The coaching point is that the low man always wins!"